Shopping, Dining, Entertainment & Much More! The Esplanade Shoppes, Residences and Marina are located on Smokehouse Bay. 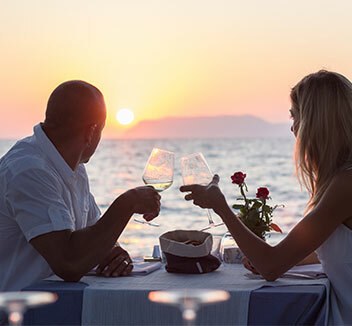 The coastal Italian-style village consisting of upscale retailers, small specialty stores, fine dining and luxury waterfront residences on Marco Island, Florida is truly a destination location. The attention given to the architectural detail is evident in every glance, from the waterfront loggias, plus two levels of convenient covered parking, to the lush floral landscaping and fountains, makes the retail experience at The Esplanade an exceptional experience. Located on North Collier Boulevard, the island's main thoroughfare, The Esplanade graces more than 1,100 feet of waterfront on Smokehouse Bay with nearly 50,000 square feet of retail and office space, 72 multi-family waterfront residences and a 77-boat-slip marina. 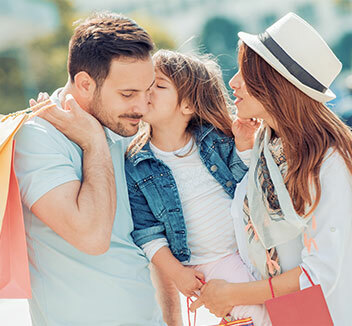 Amidst the coastal Italian atmosphere, customers and residents alike enjoy the promenade along the waterfront, a courtyard that opens to the water...all providing the optimum shopping, dining & entertainment experience. This spectacular location can be reached by car or boat.